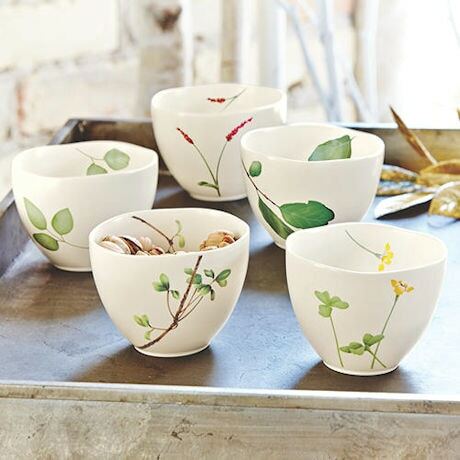 Delicate botanical prints garnish eggshell-white ceramic bowls. Wavy rims give them a hand-thrown look and imperfect beauty the Japanese call wabi-sabi. Set of five, 4" diameter, matte glaze.